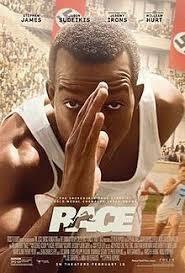 Have you seen the Jesse Owens movie RACE? It won four Canadian Screen Awards, including Best Actor for Stephan James. Even if you have, come to The Brass Tap in South End on Feb. 23 from noon to 3 pm. Jesse Owens, our very own Buckeye who grew up in Cleveland, was a promising black runner facing racial discrimination and slurs from the white athletes. He overcame tremendous adversity to become one of the greatest athletes of all time, winning 4 Gold Medals in the 1936 Olympics, but more importantly, made an impact on history itself. If you don't know the story of how Jesse became an international celebrity for putting a chink in Hitler’s propaganda machine during WWII, you have to see this important piece of history. Joining us will be former OSU QB Corny Green!! 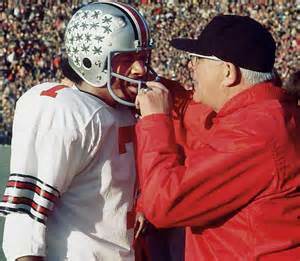 He also broke a color barrier, being Ohio State's first black quarterback, who also received a lot of racial letters, taunts and phone calls. Who better to join us and be able to speak to Jesse's struggles. Join your fellow Buckeyes to celebrate these two amazing men. 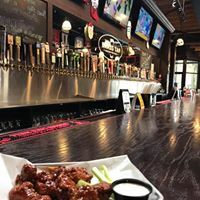 The Brass Tap is co-owned by 2 OSU alumni!! They will serve heavy finger food, and you can choose from 150 craft beers from all over the world! There is no charge for the movie or the munchies, but please "buy" a zero dollar ticket below to RSVP so we have a headcount.